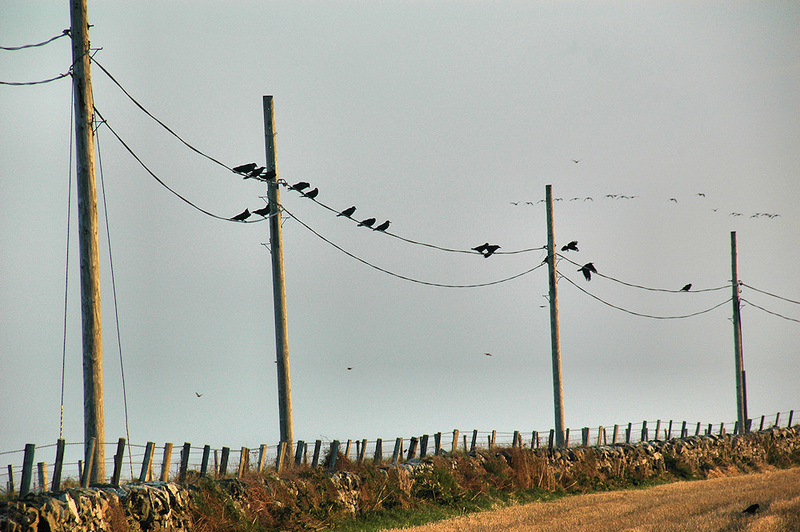 A view from a morning at Kilchoman, a group of Rooks sitting on the telephone line along the road. Also some Barnacle Geese in the background. This entry was posted in Landscape, Repost, Sunny Weather, Wildlife and tagged Barnacle Geese, Islay, Kilchoman, Rooks by Armin Grewe. Bookmark the permalink.